Richarlison impressive but Everton will regret transfer choices - Agreed? | The Transfer Tavern | News, breakdown and analysis on all things football! Tempting fate: Will Everton regret not signing a striker this summer? Everton supporters, undoubtedly, are delighted with the business their club have done in this summer’s transfer market. It took them a while, but Everton sprung to life towards the end of July when they signed Richarlison from Watford for big money, and the Brazilian has already started to repay the faith shown in him by manager Marco Silva and the club with an excellent performance against Wolves. Richarlison netted twice on his debut as 10-men Everton drew 2-2 against the newly-promoted side in what was a very good display from the Toffees — considering Wolves’ one-man advantage. 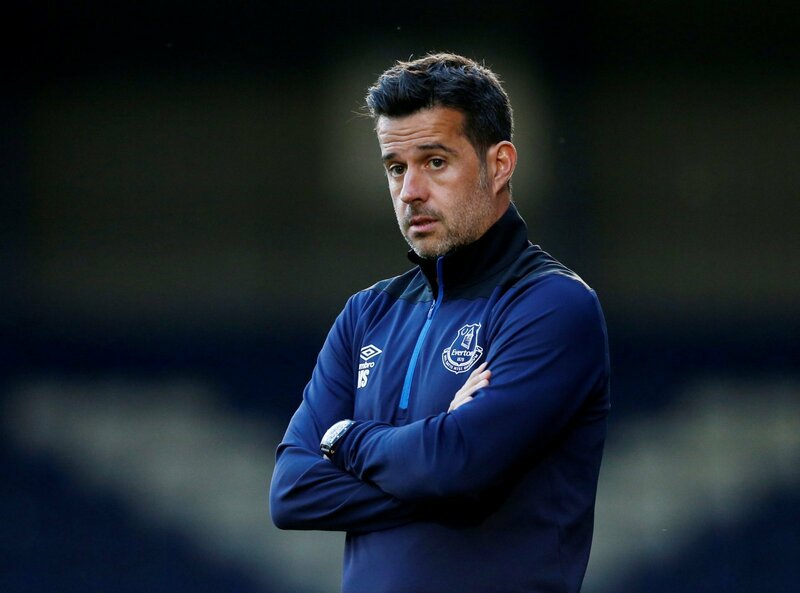 As well as Richarlison, the Merseyside club have also signed Kurt Zouma, Yerry Mina, Andre Gomes, Bernard and Lucas Digne, who on paper, all look to be very promising additions for Silva. However, despite the great work that was done to get all of the above names through the Goodison Park door, Silva might have felt he could have possibly done with at least one more new recruit in the form of a striker. Everton had been heavily linked with a move for Porto’s Moussa Marega (via Daily Mirror) but nothing materialised, leaving Silva with Cenk Tosun, Oumar Niasse and Dominic Calvert-Lewin as his centre-forward options. The Toffees splashed the cash on Tosun back in January and the 27-year-old has shown promise since arriving in England but, should he pick up a serious injury or be unavailable for whatever reason, Everton could be left in a tricky predicament. Niasse and Calvert-Lewin are not sufficient enough cover or genuine competition for Tosun, at least not in the long-term, considering the Toffees’ ambitions of qualifying for the Champions League. Ultimately, going forward, up front is a position Everton will probably have to strengthen if they are to break into the top four. But given the chances of that happening this season are slim, the club’s realistic goal will probably be to secure Europa League qualification. And, if that is the case, Everton easily have enough firepower at their disposal to achieve that. Tosun, Niasse, Calvert-Lewin and Theo Walcott, who can also play as a No.9, should have enough goals in them to lead Everton to a 7th place finish, while Richarlison has always looked like a goal threat under Silva and may be able to take some of the goal-scoring pressure off the club’s strikers. Overall, Everton have had a strong transfer window and with a coach like Silva at helm, it could be an exciting season at Goodison Park. However, there is still a lot of work to be done before the Toffees are in a position to be competing with the Premier League elite every season for a Champions League spot, and that includes the signing of a new No.9.